A rare geopolitical oddity, the counter-enclave is basically a country within a country within a country, or part thereof… more or less. There is only one in the middle east, which I recently discovered is just down the street from work. So… off I went to Nahwa. 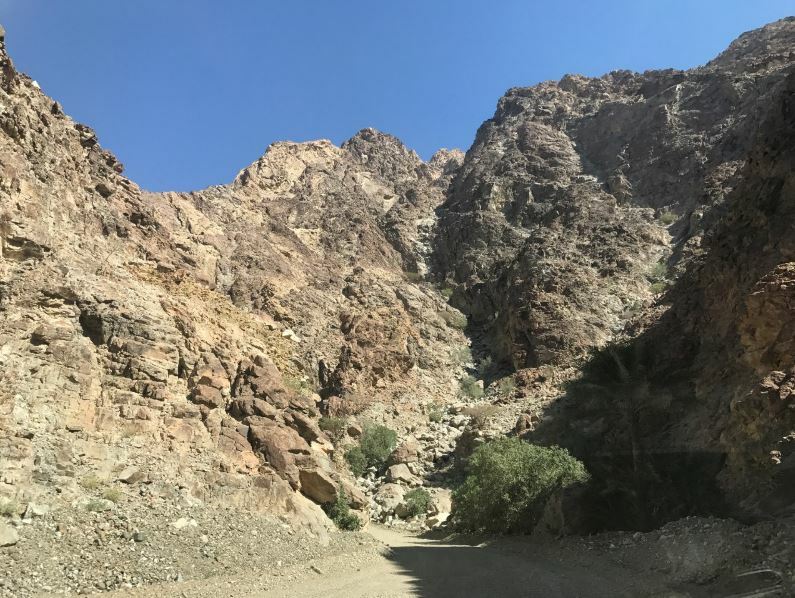 An advantage of this fifteen-minute drive across two international borders into the Hajar Mountains, is the absence of border controls. 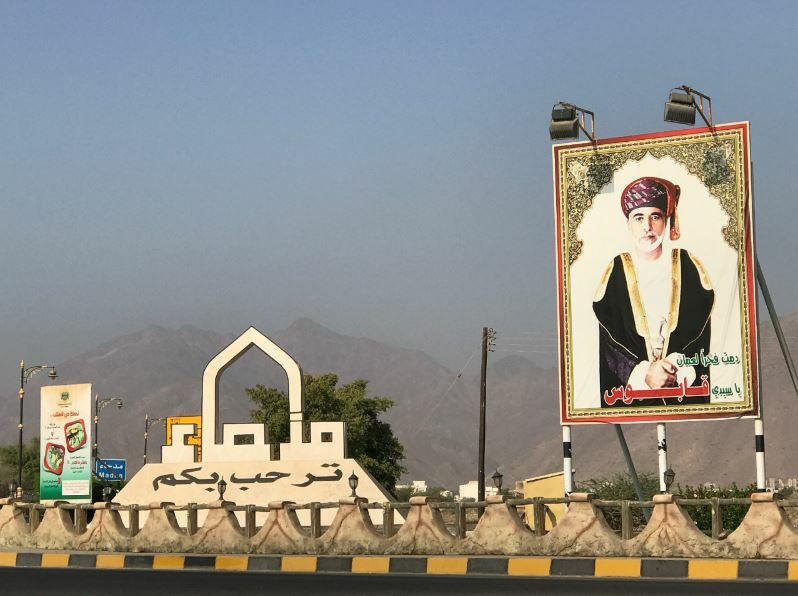 A large portrait of His Majesty Sultan Qaboos, Omani flags and a slight change in road surface are the only indicators of having left the UAE… and the ensuing series of texts from phone companies, wishing a safe journey in Oman and helpful info on international roaming charges. 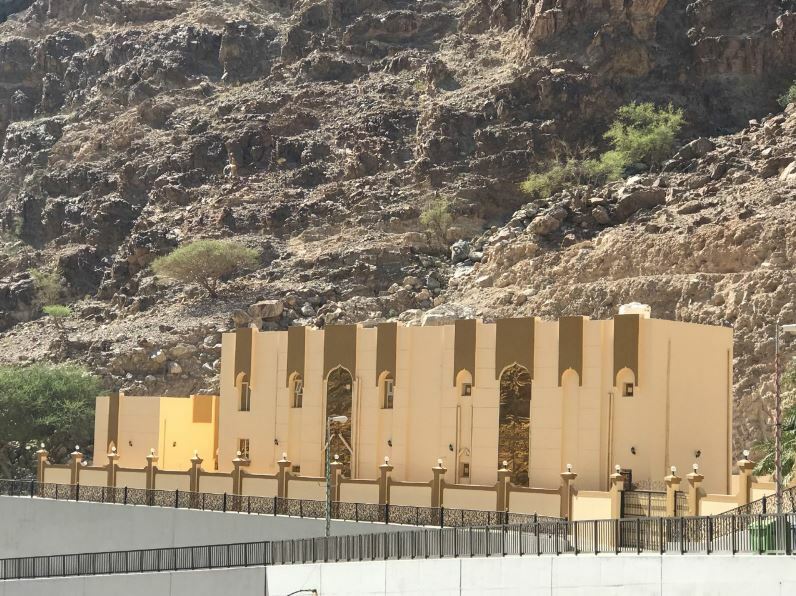 Border of the Omani territory of Madha. 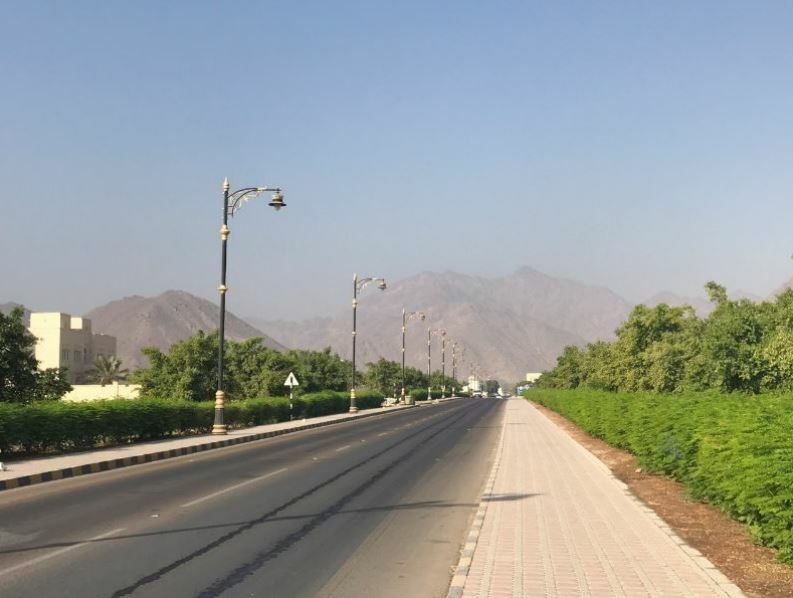 The Omani village of Madha feels like Oman; its entrance flanked with greenery and Muscat-style ornamental street lighting. …which is slightly at odds with the opposing view from the border, into the much wealthier surrounding nation of UAE. The other side of the border, Emirate of Fujairah, UAE. A hill overlooking New Madha had a invitingly open gate at the base. At the top was a some kind of water treatment facility (I think) with no serious security (disclaimer: Peninsularity Ensues does not condone breaking into to government infrastructure compounds). From here was a nice view of New Madha. 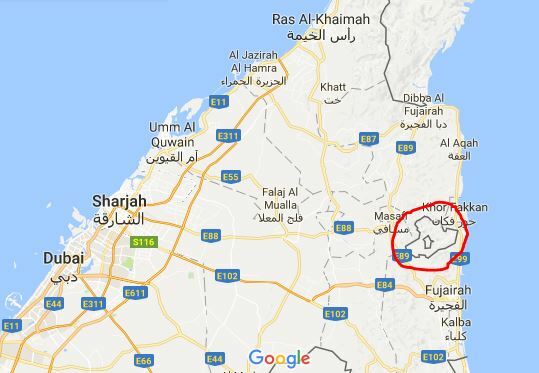 The Omani exclave of New Madha. 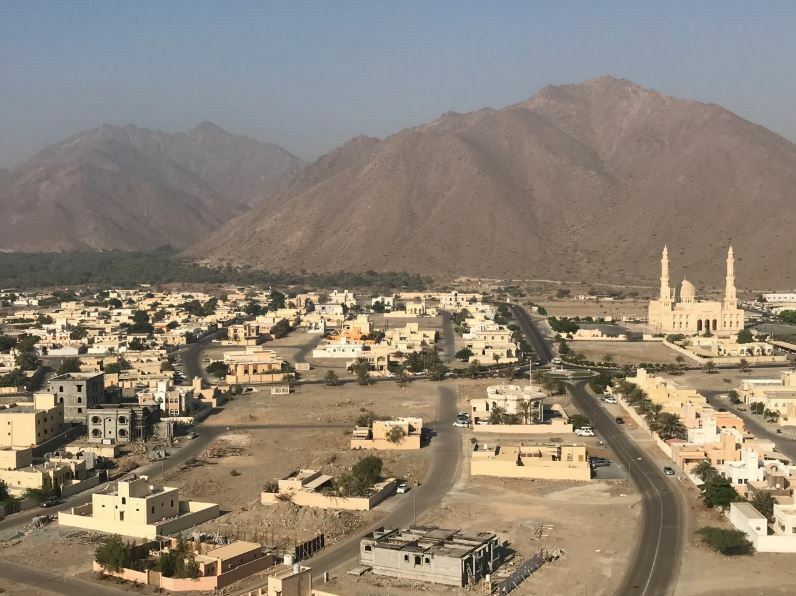 The older parts of the village of Madha appear much older than their Emirati surrounds, with their narrow streets, ancient dwellings and hilltop forts. 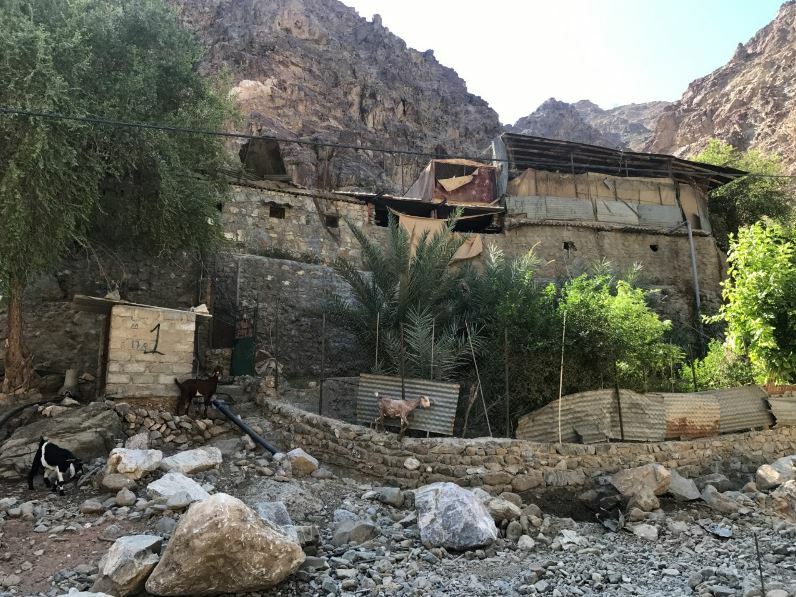 In the dry times (most of the time) the wadis serve as semi-navigable goat tracks, complete with goats. A farmhouse in Old Madha. 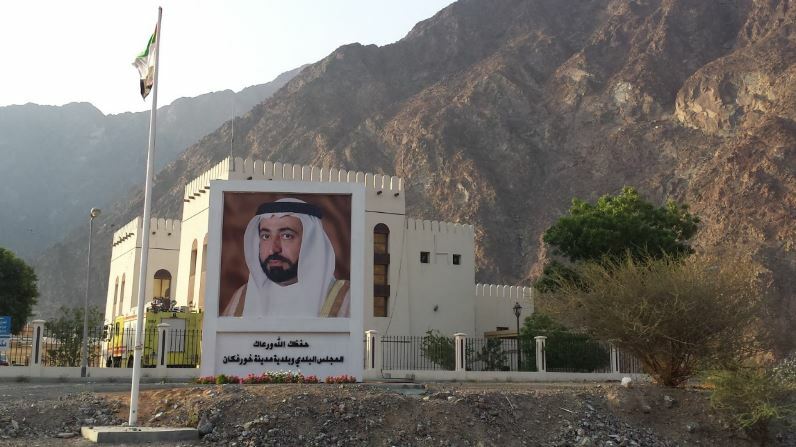 Negotiating the winding streets, past date plantations, through wadis, the terrain soon turns mountainous until reaching a small plateau marked by another large portrait of His Highness Sheikh Dr. Sultan bin Muhammad Al Qasimi, ruler of Sharjah. Entrance to the enclave of Nahwa, United Arab Emirates. The phone beeps again, welcoming us once more to the UAE. 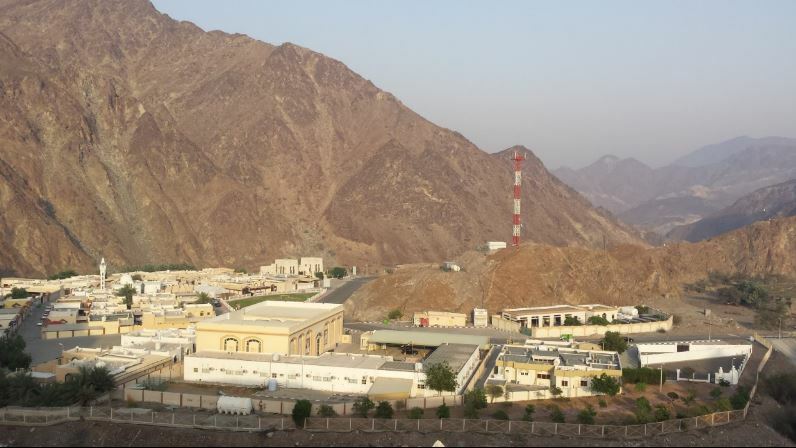 The entire village consists of around 40 buildings, looking new and well maintained, nestled in the mountains of Oman. The enclave of Nahwa, Sharjah, UAE. A sign on a dirt road leading further into the mountains points to something called Chees. Meandering around endless bends, the the scenery is stunning. The Road to Chees, Nahwa, UAE. The whole area is also kinda surreal, with staircases to nowhere, and door-less door frames to empty paddocks. 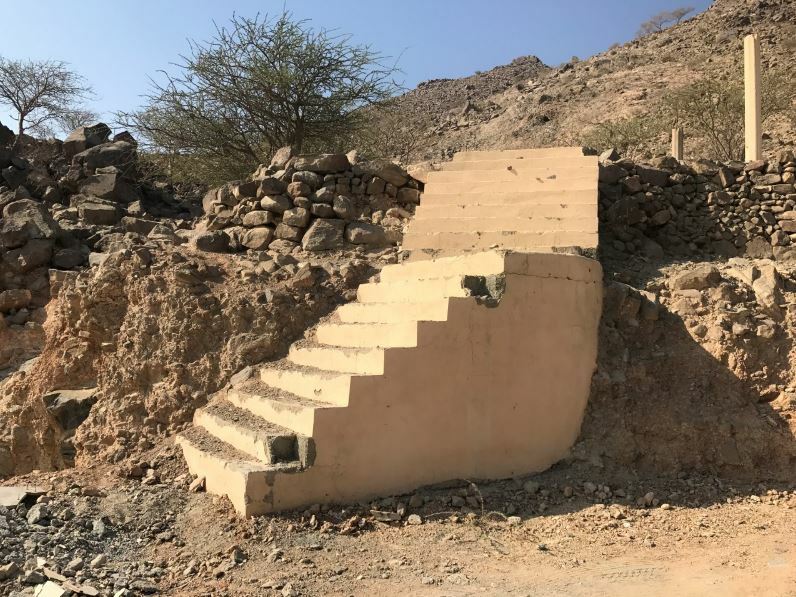 Stairway to… well, I guess there was something here once. Finally the track leads to the strange settlement of Chees, which alerts non-residents that they may not enter, but rather take the “tourist” track around the tiny… well, it can’t even be called a village. Chees is shiny, new, unwelcoming and surreal. 15 kilometers from a sealed road in the middle of nowhere, I imagined a hideout for people on the run, or stronghold of some weird desert cult. It just didn’t seem to make sense. This shiny building marks the entrance to Chees, UAE. 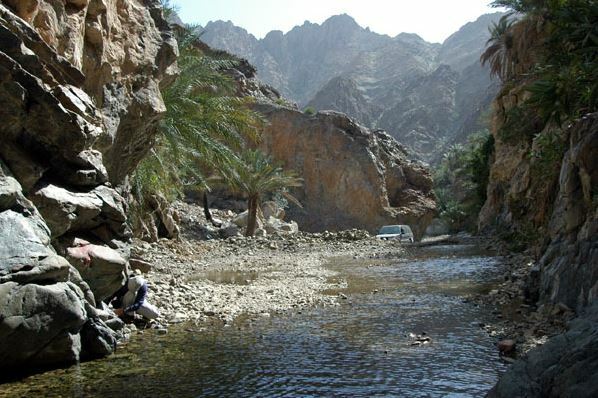 Tourists do come here though, and drive around the structures of Chees as instructed, eventually to find Wadi Chees, one of many hidden desert oases scattered throughout the Gulf. So, there it is. 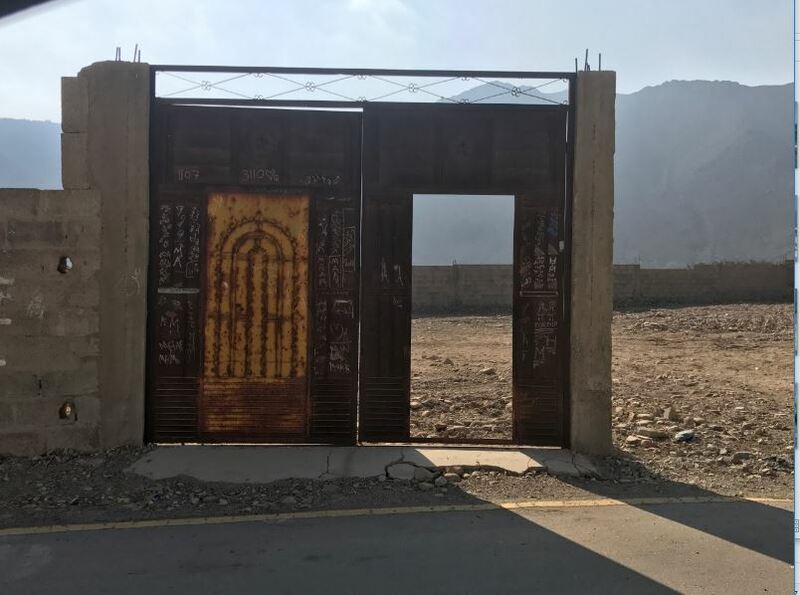 A slice of Madha/Nahwa, one of the world’s few counter enclaves, and the only one in the middle east… well worth a visit if you’re in the neighbourhood… no passport required. 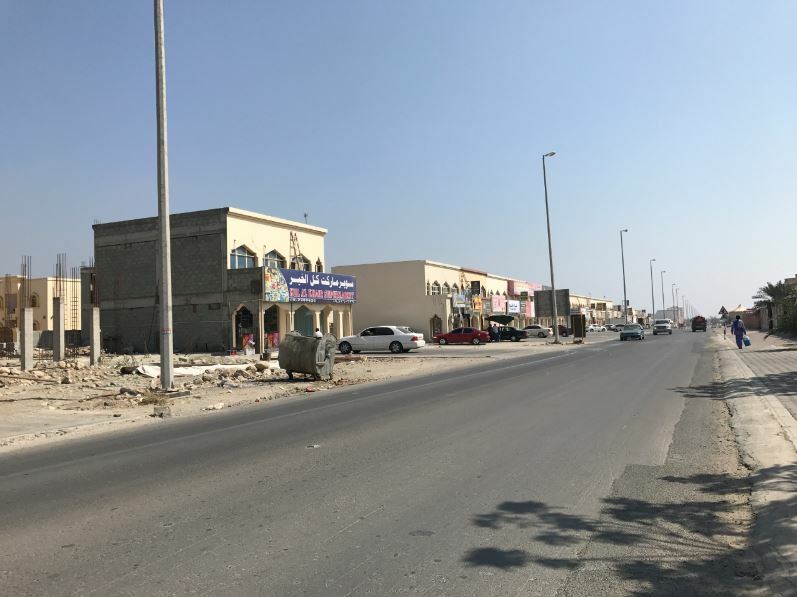 150 kilometers east of Dubai is the village of Nahwa, UAE, within the Omani exclave of Madha, which is in turn surrounded by the Emirate of Fujairah, UAE.